David Henderson's business was built on the back of providing first class service and repairs, and that is still what makes customers come back time and again for routine servicing, repairs and when the time comes to buy another tractor or implement. It is the part of the business that both Davids know very well and the service they give is very personal. Valtra's Top Technician in the country for the second year running is David Henderson Jr. "The service we give is a personal one, my mobile is on 24 hours a day, seven days a week, ready to help our customers." says David Jr. Both Davids, along with the other experienced technicians are available so that whatever types of tractor you run and whatever type of machinery you operate, from Forage Harvesters to Combines and Balers, Hendersons can offer you a fast and reliable first class service. 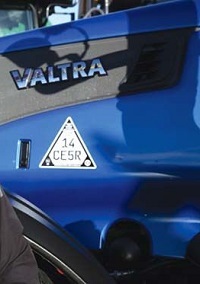 A fleet of fully equipped service vans allow for most repairs to be completed quickly, ensuring that Valtra customers have their tractors working in the field not standing in the workshop. 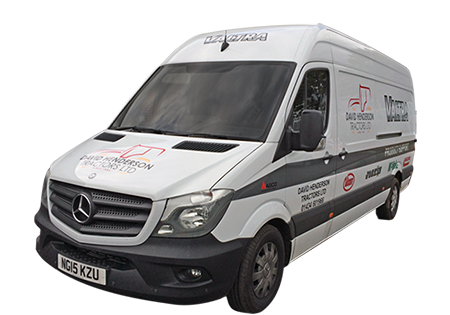 It's a case of having well equipped vans with the right special tools, regular factory training and technicians with experience and a helpful attitude that makes the difference that our customers notice and appreciate. Thank you for your interest in Henderson Tractors, your email has been received and we will respond as quickly as possible. David Henderson Tractors Ltd are able to offer Datatag to our customers. You could save £££ on your insurance premium. Call us today for a quote to protect your vehicles and machines.